A group of Russian activists have released what they say is a fresh batch of discrepancies spotted in the MH17 investigation by their British peers, Bellingcat. Among other inaccuracies and flaws, the report cites Bellingcat’s ignorance of technical details. The Russian report is based on the investigation carried out by a team of bloggers, journalists, aviation experts and volunteers calling themselves ‘Anti-Bellingcat’. It makes use of the technical expertise of the Russian arms producer Almaz-Antey. 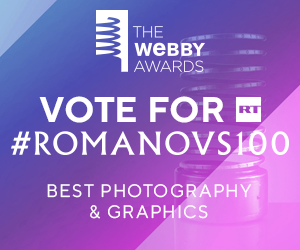 The leader of the group and author of the report is Yury Kotenok, editor-in-chief of the news website Segodnia.ru. The biggest challenge for them is to help shed light on the absolute truth behind the tragedy. Their primary objective is to cut short the continuous spread of disinformation regarding the MH17 international investigation. According to the authors of the Russian report, published on Tuesday, Bellingcat is “ready to design any version whatsoever meant to accuse Russia." “That’s an information war,” Mikhail Malyshevsky, an adviser to the chief designer of Almaz-Antey, said in an interview with the Komsomolskaya Pravda daily. “[Bellingcat’s] version [of the tragedy] is evidence-free. They do not build a version based on facts, but trim the facts to fit their version. Just to give an example, the Dutch, at the suggestion of Bellingcat, claim that the missile flew toward the plane. This has been refuted by all our data, both mathematical and experimental,” he noted on Friday. The first discrepancy, noted by the Russian activists that Bellingcat was trying to prove that the Malaysian Boeing was shot down by a BUK missile system belonging to the Russian army. 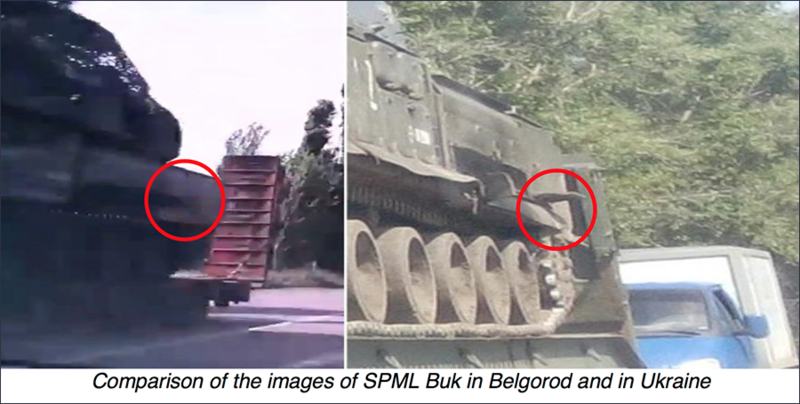 As “proof” Bellingcat referred to a Paris Match photo in July 2014 in Ukraine allegedly showing a BUK missile system being transported near Donetsk. The British outlet compared it with a picture of a BUK on the way inside Russia in Belgorod Region, alleging they are one and the same. However, in their report, Russian activists note a key difference between the two. The BUK pictured in Russia contains a "step" on the left side of the system. It has been introduced only after 1984 to ease the crew’s embarking to the vehicle. The picture posted by Paris Match and cited by Bellingcat does not have that feature,the activists note. “This means only one thing – the photographs presented different modifications of the ‘BUK’ systems, so, as sad as it might be for Bellingcat, there is no way it can be one and the same vehicle,” the report states. In the report Russian activists have countered Bellingcat’s claims that there have been no Ukrainian BUK missile systems in the conflict-zone in the country’s East. They provided various screen shots of Ukrainian media reports, picturing BUK missile systems of the Ukrainian army in the conflict area. One of the screenshots contains part of the program called “Hour CH” by the Ukrainian First National TV channel. 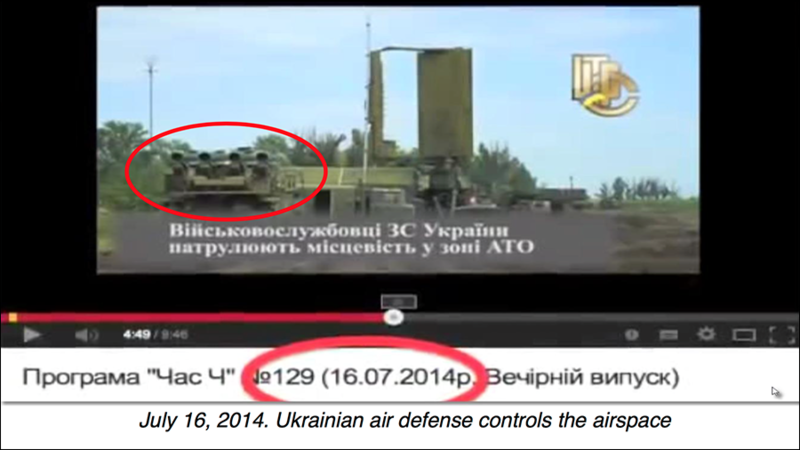 The respective program is dated July 16, just a day before the MH17 crash. “The photo shows a self-propelled fire installation "Buk" [missile system] and radar 19ZH6 (35D6). This radar station in the Ukrainian army is used as an additional means of controlling the air space and targeting systems for air defense fire units, armed with ‘Buk’ [missile system]”, the activists’ investigation finds. Ukraine “does possess BUK missile systems of type BUK M1” and Kiev has in fact confirmed the modernization of some of it, adviser to the head designer of the Russian Almaz Antey arms producer, which also manufactures BUK systems, Mikhail Malyshevsky, told RT. Last Wednesday, Russian media obtained a statement by Almaz-Antey, in which the company accused Western media, including Bellingcat, of trying to manipulate public opinion and confusing facts to discredit its own investigation into the issue. Russian activists have also raised questions over Bellingcat’s allegation that the location from where the plane has been shot down by BUK was under rebel control. Bellingcat backs up its claims by showing maps of the conflict region provided by the Ukrainian military as well as services like LiveUAmap и kot-ivanov. But in fact Bellingcat itself admits that the official maps “did not reflect the full picture” of the fighting, according to Russian activists’ report. LiveUAmap has also a problem of being rather not accurate, showing some of the fighting “deep inside Russian territory,” the document adds. Russian bloggers accused Bellingcat of simply “interpreting facts” to suit their theory. “Even an approximate study of the evidences which are imposed by Bellingcat as irrefutable, allow us to make a conclusion about their untenability,” the report says. 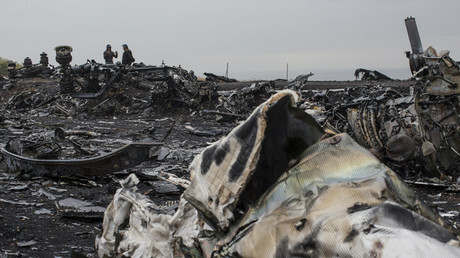 Speaking to RT, the former deputy chief of the Russian Air Defense forces, Aleksandr Tazehulalov, said the Malaysian Boeing might have been shot down unintentionally. “Many are inclined to believe that given the severe condition of the Ukrainian army at that time, the preparation of the crews of anti-missile systems was not enough for their effective use. I cannot confirm this theory … but every crew can make a mistake, there is this notorious human factor. I do not exclude it,” he said. 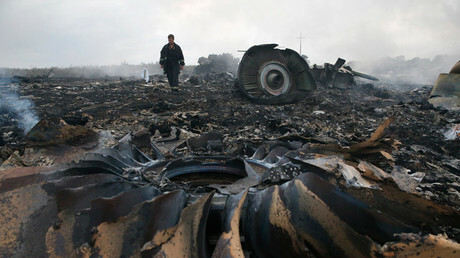 Ukraine has been already involved in a civilian passenger jet being brought down by a missile over its territory. On October 4, 2001 a Russian TU 154 liner was shot down by a Ukrainian S-200 missile during drills in the Black Sea, killing all 78 people onboard. Back then Kiev officially recognized the responsibility and issued an apology. On September 28, the Dutch-led Joint Investigative committee will release its findings on the criminal part of the investigation, which is expected to name the exact responsible side for the crash. 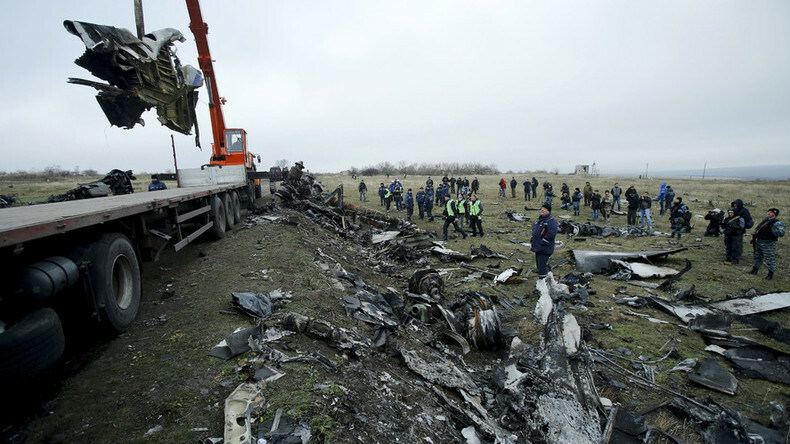 Malaysian Boeing MH17 en route from Amsterdam to Kuala Lumpur crashed over war-ravaged East Ukraine on July 17, killing all 298 people onboard.